These days, it requires more—or perhaps less—to get a person to grocery shop. Whole Foods is another of the grocery chains aiming to compete with the success of millennial-minded markets like Trader Joe's or Aldi. To do so, the company is introducing its organic, health food grocery shopping experience in a new way. Coming to Bellevue Square in September is its new concept store, 365 by Whole Foods Market. 365 is a smaller-format store with a lower price point, aimed at offering shoppers simplicity of choice and the convenience of an in-and-out format. The Austin, Texas-based grocery chain opened its first 365 concept in Silver Lake, Calif., in May of this year; the Bellevue store will be 365's third location. Expect a downsized floorplan of around 30,000 square feet, much smaller than the traditional Whole Foods footprint, which is nearly double that size. The new stores are also designed to help streamline your shopping trips. That smaller selection of products will include its more affordable, private-label 365 products, and a new Friends of 365 program, which features business partnerships that include trendy food and drink concepts inside the store (think: vegan restaurants and custom tea kiosks) appealing to millennial shoppers. 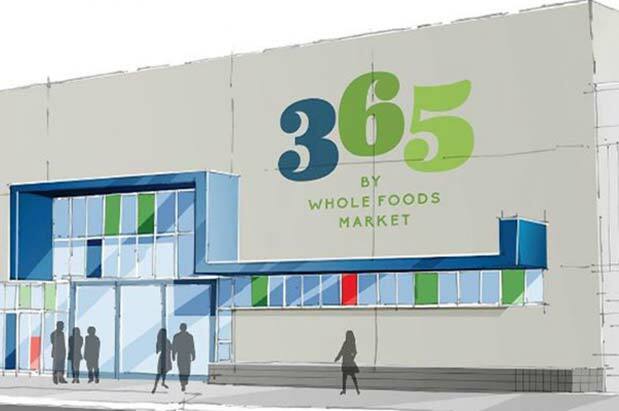 According to the Whole Foods Market Newsroom, Bellevue's first Friend of 365 partner will be Seattle-based Wild Ginger Kitchen. The new concept, Turnas notes, is "an experimental approach to traditional grocery shopping that's curated for convenience and value." The 365 by Whole Foods Market enters Bellevue in a era of expansion, growth that includes a new hotel, streetfront dining, high-rise residences and an additional 175,000 square feet of retail space in Bellevue Square. Currently there are no plans for additional 365 stores in the Seattle area.